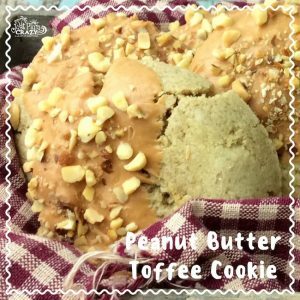 Peanut Butter Toffee Cookie Recipe | Be Plum Crazy! 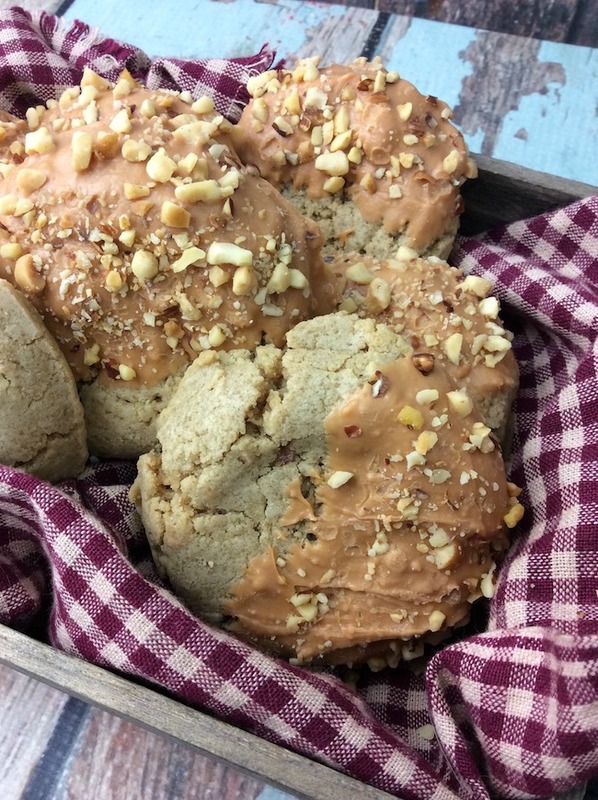 The Peanut Butter Toffee Cookie Recipe is brought to you by Just Plum Crazy. 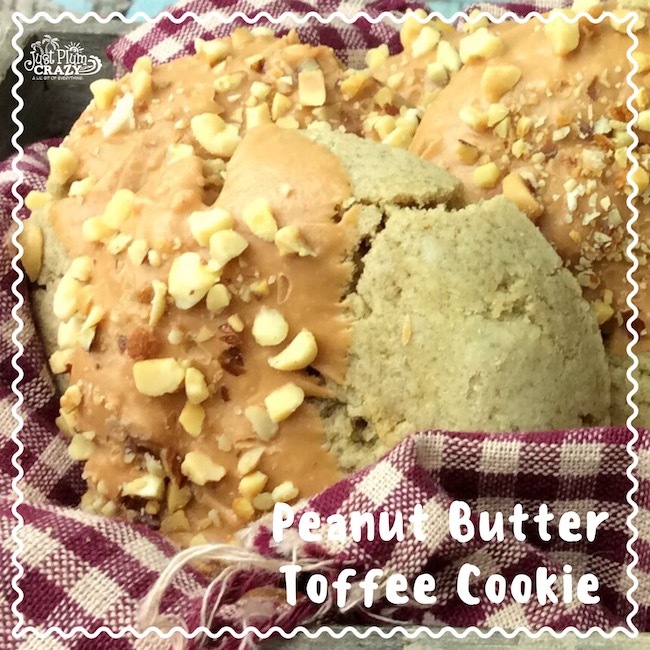 Peanut Butter Toffee Cookie Recipe! 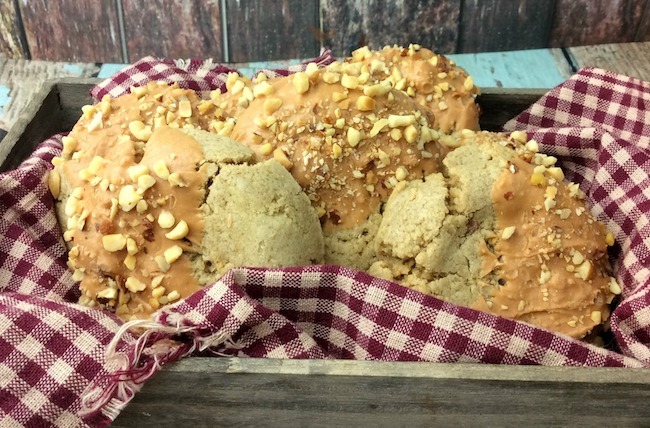 Moving along with our National Food Days recipes, today is National English Toffee Day! 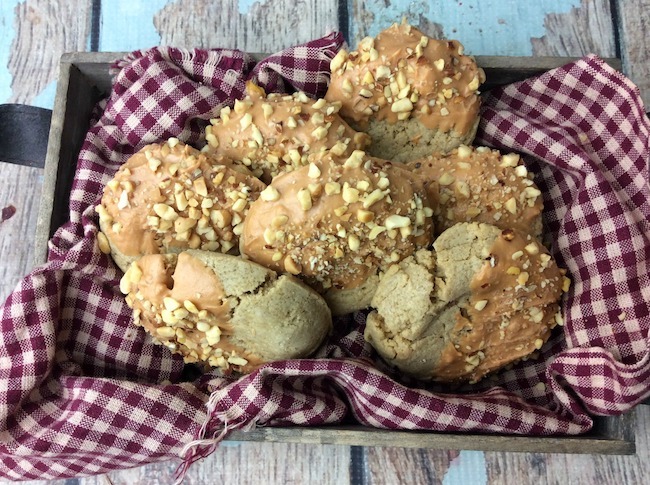 We don’t however, have an English Toffee recipe but we have something better….A Peanut Butter Toffee Cookie recipe. 1. Using a medium sized bowl or a stand mixer with a paddle attachment. 3. Add the peanut butter, egg, and vanilla. 4. Incorporate until well combined. 5. Scrape the sides of the bowl. 6. Combine the flour, baking soda, and salt in a separate bowl and lightly mix. 7. Add to the butter mixture and the flour mixture all at once and mix until just incorporated. 8. Scoop dough onto parchment lined baking sheet using a regular sized cookie scoop. 9. Bake at 350 degrees for 10 to 12 minutes. 10. Allow cookies to cool slightly on the tray before transferring them to a cooling rack. 11. Melt your toffee melting wafers as directed. 12. Place your diced peanuts in a separate bowl. 13. Take your cookie and dip int he toffee and then the peanuts and place to the side to harden. 14. Continue the steps until all cookies are coated. 15. Let sit till hardened. Using a medium sized bowl or a stand mixer with a paddle attachment. Add the peanut butter, egg, and vanilla. Combine the flour, baking soda, and salt in a separate bowl and lightly mix. Add to the butter mixture and the flour mixture all at once and mix until just incorporated. Scoop dough onto parchment lined baking sheet using a regular sized cookie scoop. Allow cookies to cool slightly on the tray before transferring them to a cooling rack. Melt your toffee melting wafers as directed. Place your diced peanuts in a separate bowl. Take your cookie and dip int he toffee and then the peanuts and place to the side to harden. Continue the steps until all cookies are coated.